Back in 2010 BBM did a baseball card set that was given away with cans of Georgia Coffee. I've written about these cards before but all I had from the set were some "Legend" or "Vintage" cards featuring OB players. I didn't have any of the cards of active players. I found a couple up for auction on Yahoo! Japan Auctions a few months back and asked Ryan to pick them up for me. They were in the box I got from him the other day. I think there's 60 cards total available but I don't know if that's split between active and OB (the "Legend" or "Vintage" cards) or if that's only the active cards. I probably should do some more research on these. The cards are smaller than the standard card size. They're nice looking cards. I may have to see if I can find any more of them. In the fall of the past two years BBM has released a set for athletes of multiple sports, not just baseball. In 2016 this set was called Masterpiece and celebrated BBM's 70th Anniversary as a magazine published. In 2017 the set was called Infinity. I wasn't particularly interested in either set - I'm kind of myopic in that I don't care much about sports other than baseball and despite both sets having quite a few baseball cards (72 in Masterpiece and 45 in Infinity) I realized that I already had dozens of cards of most of the baseball players in the sets - so I didn't get either of them. 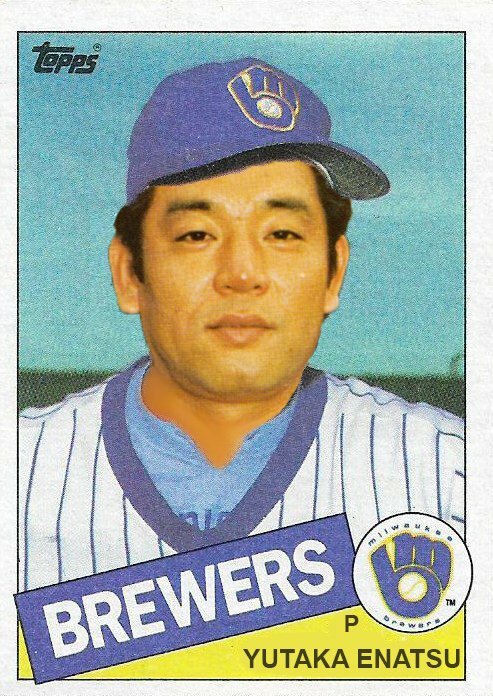 You'll notice however that I said I had dozens of cards for most of the baseball players in the set. It turns out that Infinity had three cards for players who never played in NPB. One of them is actually a Hall Of Famer. These three cards were part of the package I got from Ryan yesterday. 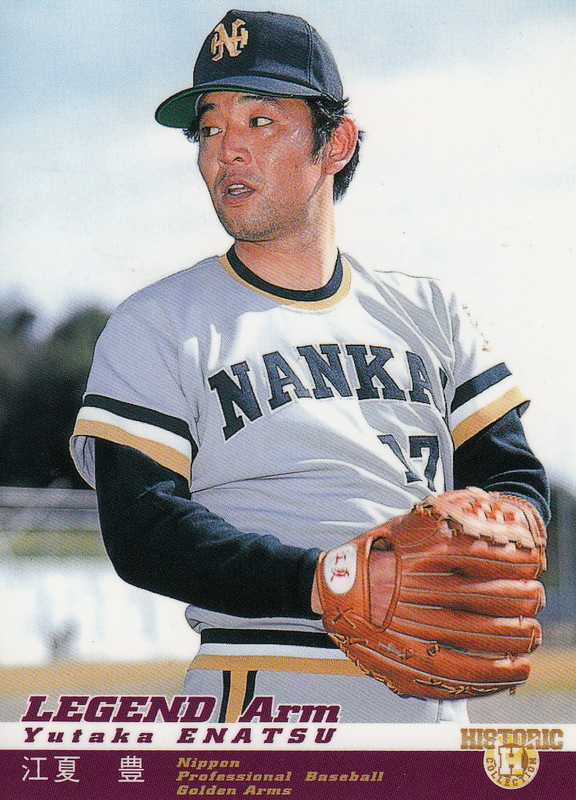 Masatake Yamanaka holds the record for most career victories in the Tokyo Big Six collegiate league. 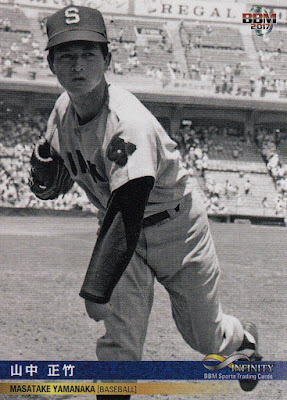 He had 48 wins for Hosei between 1966 and 1969. 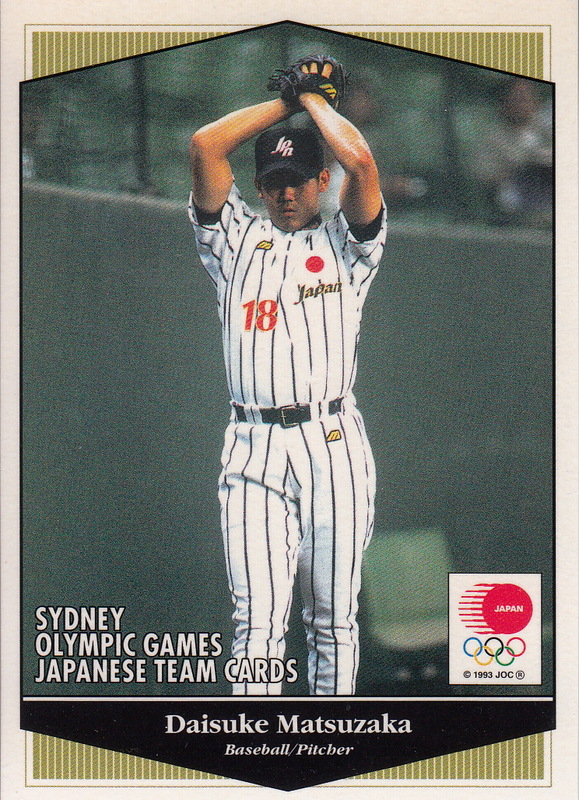 He spent seven years playing for Sumitomo Metal of the corporate leagues and then moved into coaching positions. 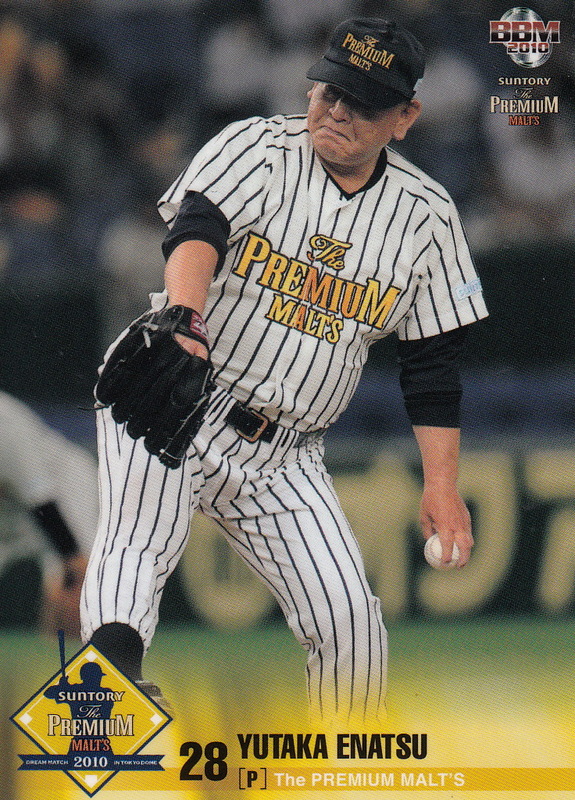 He managed Sumitomo Metal from 1981-84 and also managed Hosei from 1994-2002. He was also a pitching coach for the Japanese Olympic baseball teams in 1988 and 1992. 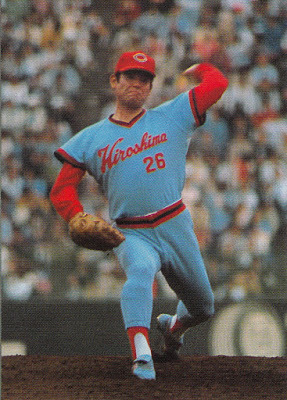 He was elected to the Hall Of Fame in 2016. The only other card of him that I'm aware of is from the 2011 BBM Legend Of Tokyo Big Six set. 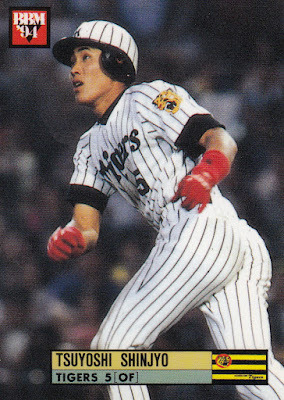 Atsuyoshi Otake went from Waseda University of the Tokyo Big Six league to Nippon Steel Hirohata of the industrial leagues. I think that the highlight of his playing career was splitting the catching duties on the 1988 Japanese Olympic baseball teamwith Atsuya Furuta (who was playing for Toyota at the time). He later managed his industrial league team (now renamed Nippon Steel Kimitsu from 1994 to 2000. Some of the players he managed there include Nobuhiko Matsunaka (later with the Hawks) and Shunsuke Watanabe (later with the Marines). He managed Waseda from 2005 to 2010. As far as I know this is his only baseball card (although I'm pretty sure he appears on any Waseda team cards in BBM's Tokyo Big Six sets in 2008-10). 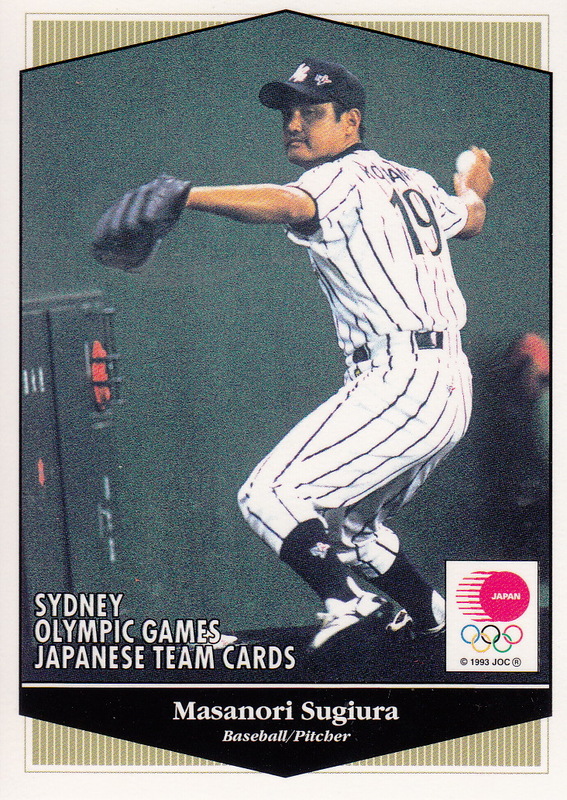 Masanori Sugiura (Japanese Wikipedia here) played for the Japanese Olympic team in 1992, 1996 and 2000. 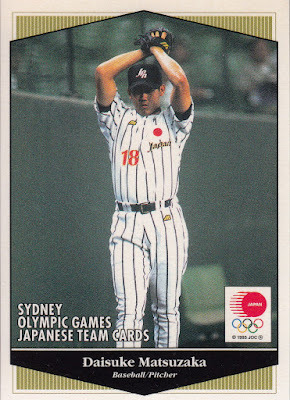 He holds the record for most Olympic baseball wins with five. 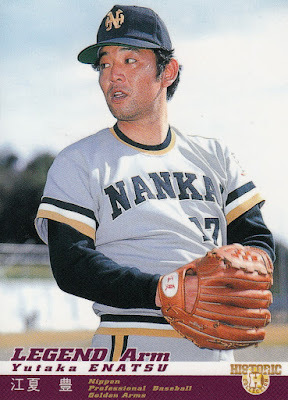 He attended Doshisha University of the Kansai Big Six collegiate league. 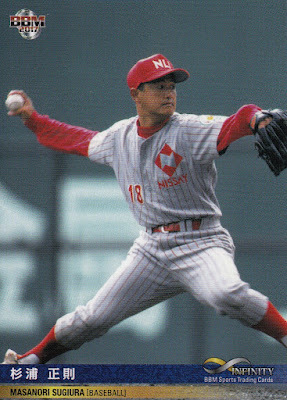 After graduating in 1991 he joined the Nippon Life team of the corporate leagues. 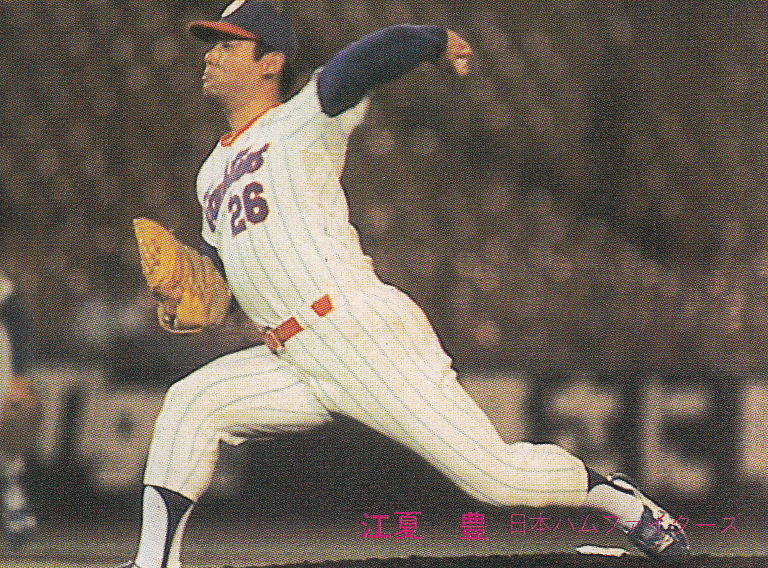 He had numerous opportunities to go pro (including an offer from Bobby Valentine when he was managing the Mets) but he remained with Nippon Life until retiring after the 2000 season. He later managed the team from 2006 to 2009. His nickname was "Mr. Amateur Baseball". 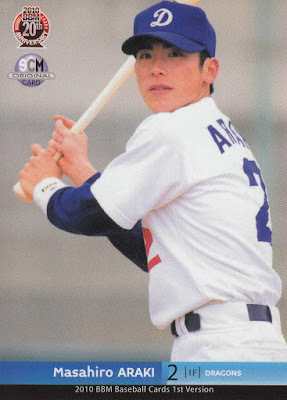 The only card other card I know of for him is from the 2000 Upper Deck Japanese Olympic Team set - ironically his was the final card I needed for that set and Ryan included it in this package as well. I wrote about it earlier today. I really liked the fact that BBM included these three in last year's multi-sport set and I hope that they continue this in future sets. 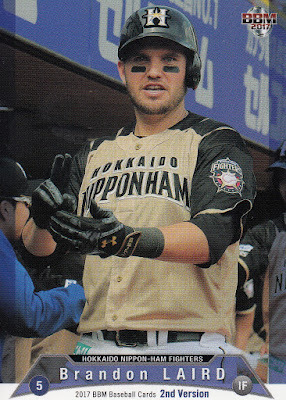 Matt Dominguez of the Marines had a very good couple of games in the last few days. On Thursday he hit a pinch hit two run home run in the bottom of the ninth against the Fighters to tie the game at 5-5. Two innings later with the Marines down 6-5 he hit an RBI double to tie the game back up. 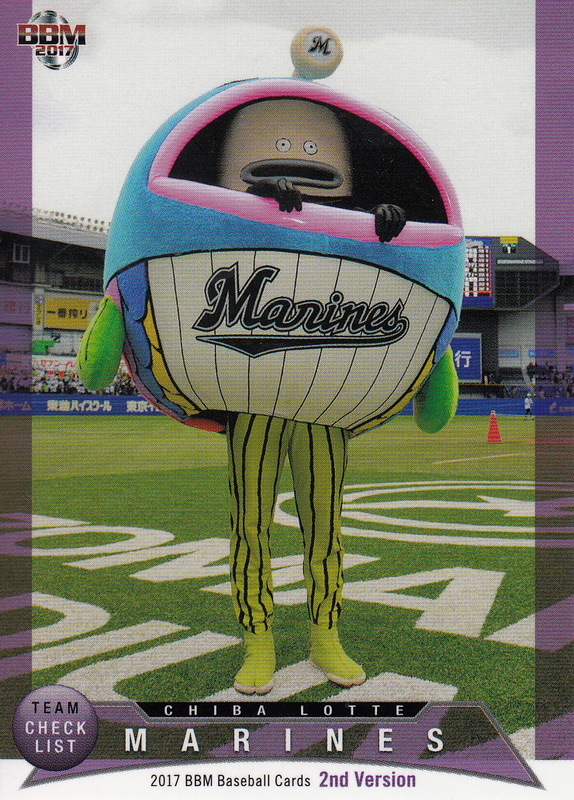 The Marines eventually won the game in 12 innings. On Saturday he hit two home runs against Buffaloes in a 6-2 victory by the Marines and today he had a two run home run in a game the Marines lost to Orix 3-2. 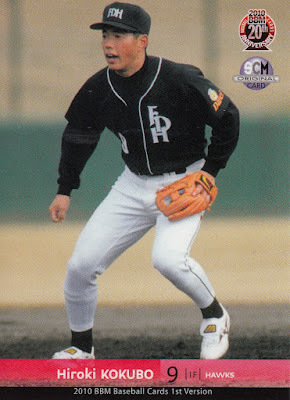 Dominguez was the guest on last week's Japan Baseball Weekly podcast. There have been jokes made in the past by people (including me) about there being a "JBW podcast curse" as there have been occasions where someone has had a bad week or gotten injured after appearing on the podcast. 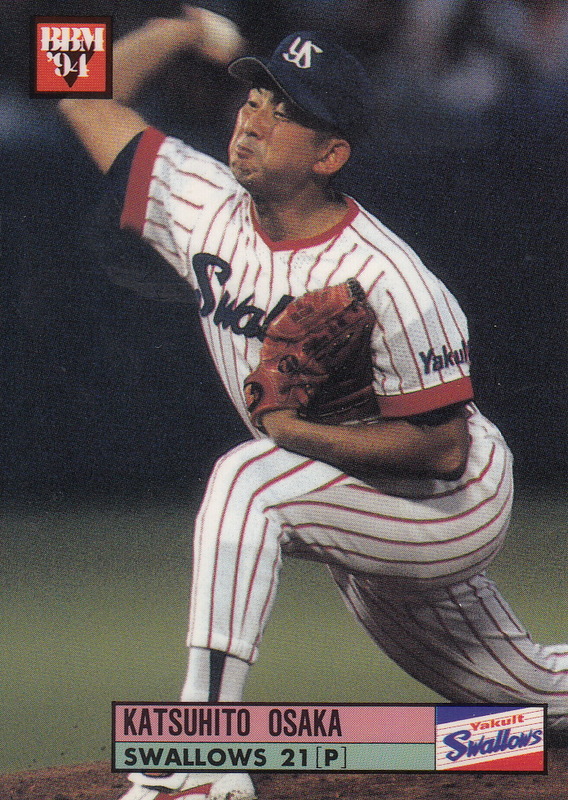 It looks like Dominguez reversed the curse. Perhaps we should start talking about the "JBW podcast bump" from now on. It seems like I get a package from Ryan about twice a year so I've been eagerly awaiting the one for the first half of 2018 ever since he sent it in late April. We both expected it to take about two weeks but it was more like four. As always it's chock-full of great stuff he's found for me. This particular package has enough different stuff in it that I figure I'll be doing seven more posts after this one. I thought I'd start the posts about the box with a bunch of singles he found for me. First up as usual is a bunch of Sports Card Magazine inserts that I've been wanting. He actually found all the SCM inserts on my want list - at least until the next time I go scrolling through Yahoo! 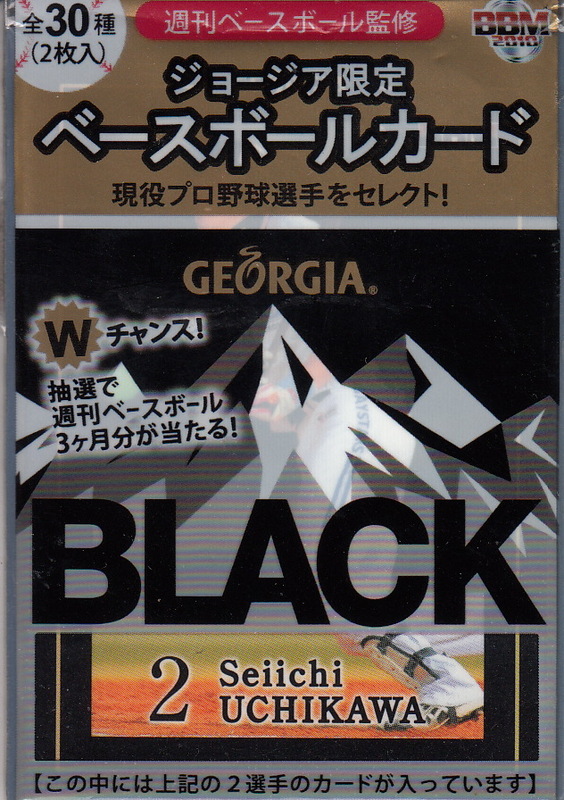 Japan Auctions and find some more that I can't live without. 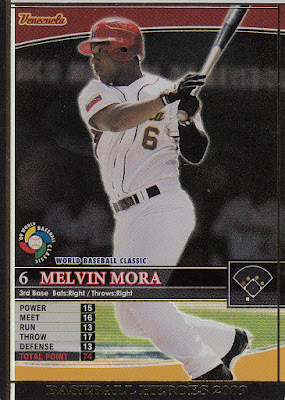 There were two SCM issues in 2007 that had bonus cards for the 2007 BBM 1st Version set. Ryan had previously found the three cards from SCM #64 for me and I now I also have the three from SCM #65 that was published in September 2007. 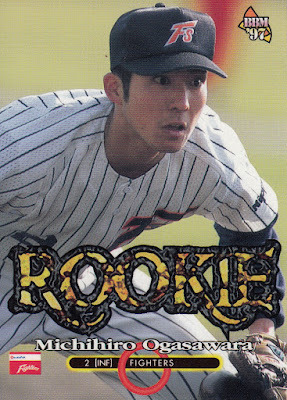 This is the only card I'm aware of for Yoshii with the Marines (other than his "Goodbye Heroes" subset card in the 2008 1st Version set). 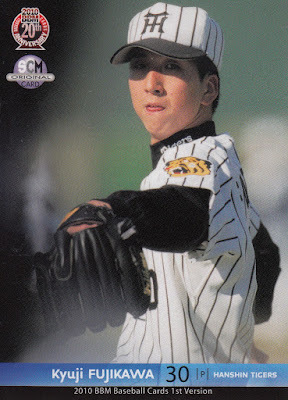 He was traded to Lotte from Orix on June 28th, 2007 for Koji Hirashita but only appeared in four games with the ichi-gun Marines. 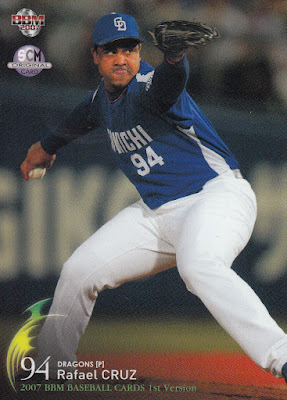 The only other Japanese card of Rafael Cruz that I'm aware of is from the 2007 BBM Nippon Series set. 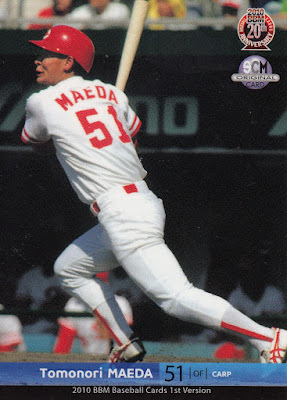 He's an interesting story - he started his career as a catcher in the Texas Rangers organization in the late 90's. The Dragons signed him in 2007 after he had converted to pitching and he got into 17 games that year as well as pitching in the Nippon Series. 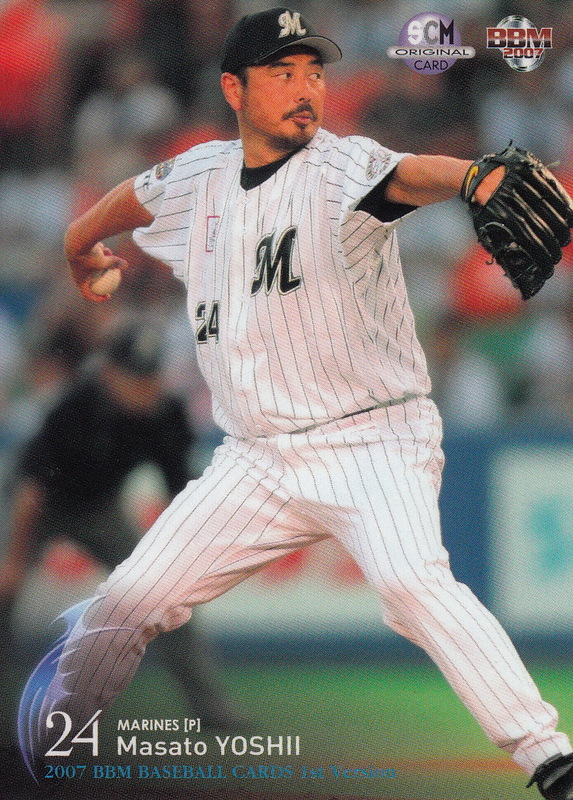 He hurt his arm in spring of 2008 and missed the entire season. He spent 2009 in the Atlanta Braves' organization but I'm not sure where (or if) he's pitched since then. 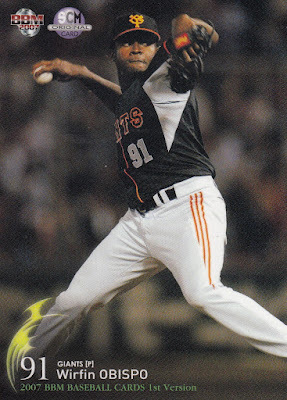 Wirfin Obispo got into two games late in the season with the Giants in 2007. He spent a couple more years in Japan with the Giants and Fighters. He has other Japanese cards but I believe that this is the first one. 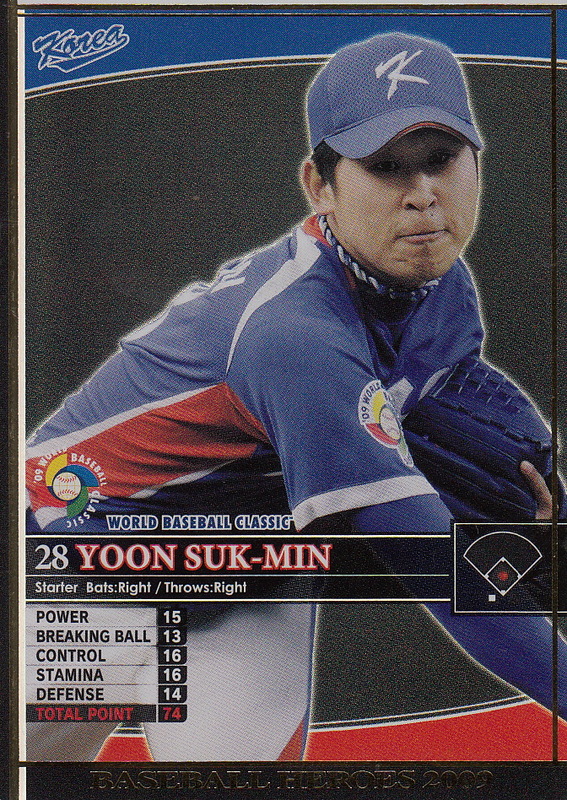 He located five cards I needed from the 2009 Konami WBC Heroes "Special" insert card sets. I realized the obvious about the set today - it features three players from each of the four teams that made the final round of the 2009 Tournament - Japan, Korea, USA and Venezuela. I already had the three Japanese players and I'm down to only needing one more card from the set (Lim Chang-Yong). 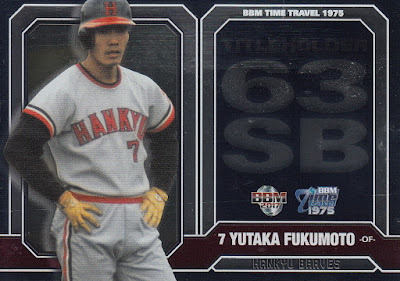 Finally Ryan also picked me up the two insert sets from the 2017 BBM Time Travel 1975 set. 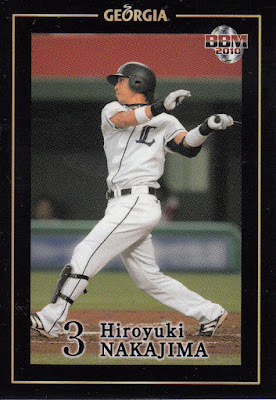 The two nine card sets feature statistical leaders and award winners from the leagues. 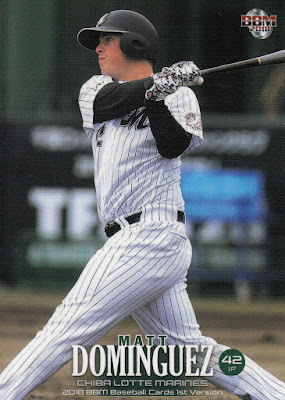 The Central League cards have a vertical orientation while the Pacific League cards have a horizontal orientation. I've shown a lot of cards in this post so far so I'll just show one card from each set - all the cards can be seen here at Jambalaya. 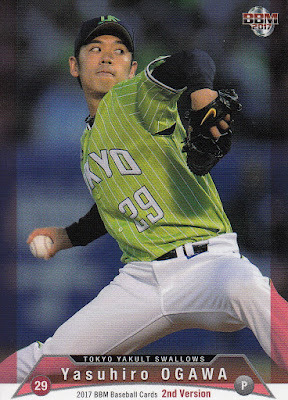 I want to point out that both cards look better in person than their scans. 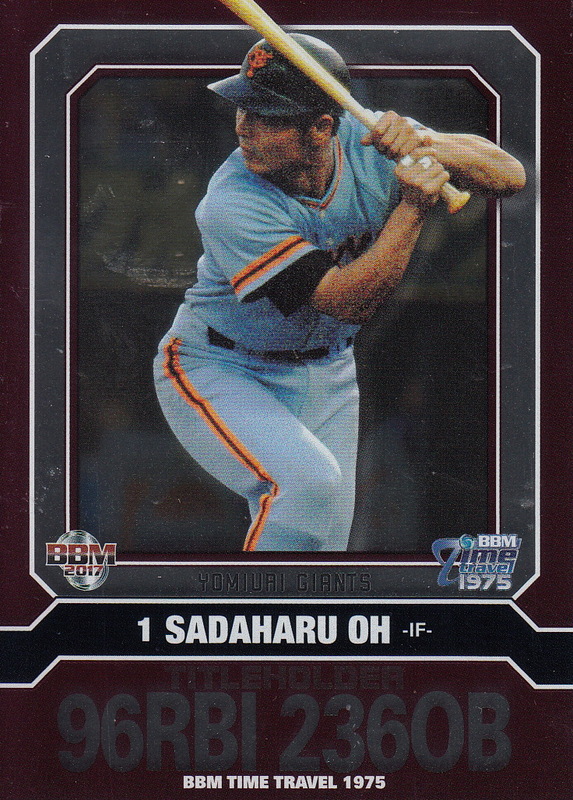 And I'd been wondering what category "OB" was on the Oh card - I think this is the number of times he got on base in 1975. 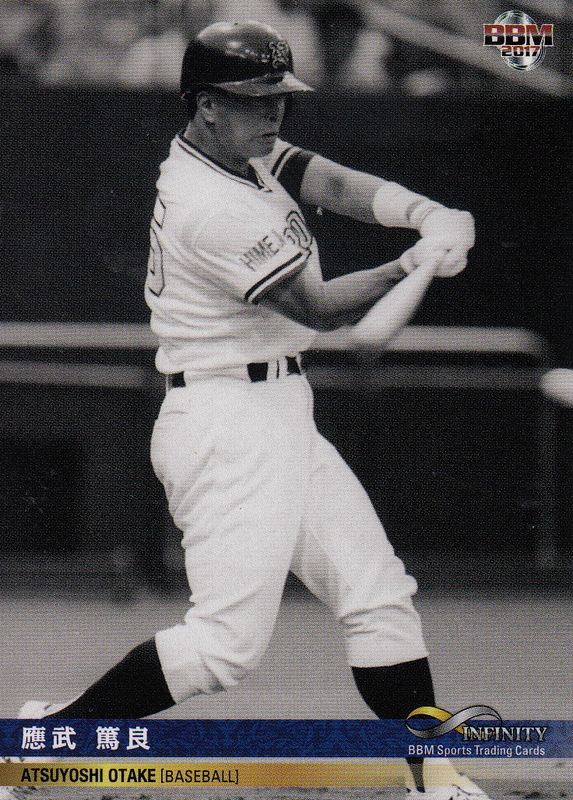 He had 112 hits, 123 walks and one hit-by-pitch and 112+123+1=236. So thanks Ryan for finding all this plus the other stuff I still need to blog about! I think my want list has been cut in half which means it's time to add more stuff to it! 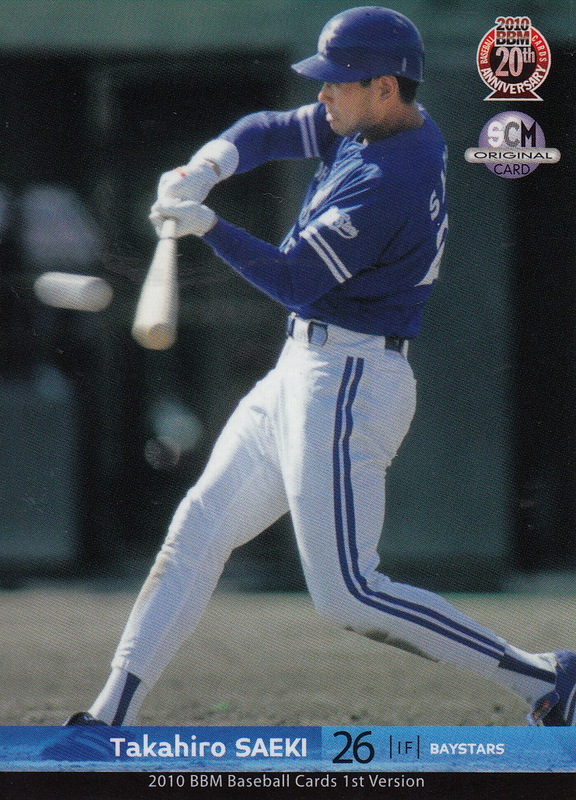 I did a post way back when I first started this blog that listed all the baseball sets that BBM typically did in a year. 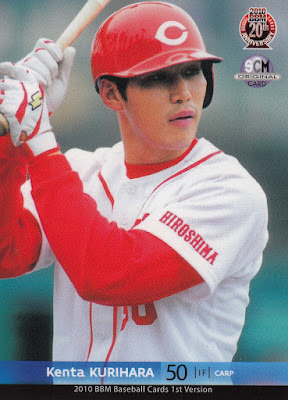 The shelf life on that post was pretty short - BBM stopped doing Climax Series box sets after 2007 and stopped the All Star and Nippon Series sets after 2012. I thought it was time to update this list. Now there's a couple things that I'm making a guess on based on only two years worth of data so it's possible that these really aren't annual sets. Each set is pack-based unless I say it's a box set. "Ultra High End" set - BBM did their first "Ultra High End" set back in 2015. It was called "Masters Of Insert" and was issued in May of 2015. It only featured OB players. BBM issued their first "Ultra High End" set with active players in late December of 2016. This set was called "Rising Sun". They issued another "Ultra High End" set with active players called "Glory" a year later. Both sets had a base set of 36 cards along with a plethora of premium insert and autograph cards. Since these two sets were the first BBM sets to feature the new year (2017 and 2018) on their fronts I am treating them as the initial BBM set for each year. I'm also making the assumption that BBM will continue to issue an annual "Ultra High End" each year. "Time Travel" set - BBM has issued two "Time Travel" sets in the past two years - a "1975" set in late 2016/early 2017 and a "1989" set in late 2017/early 2018. 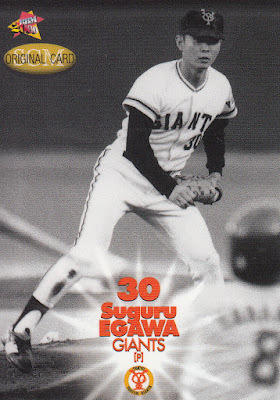 These are 99 card sets that highlight a particular season and are made to look like they were actually issued in the season they are highlighting. Again I am making the assumption that BBM will continue to do these sets because they've done them two years in a row. Retirement - Now we're getting into territory where I'm a little more confident in predicting BBM's behavior. This is a box set that BBM issues in late January that features the players that retired the previous season. This may include players who were playing in MLB or in the indy leagues in either the US or Japan. Some of the bigger name players can possibly have multiple cards in the set. Each box set contains the complete base set (around 30-ish cards) plus a "special" insert card that could be an autograph. BBM has been producing this set every year since 2011. I call this set "Farewell" or "Retirement" but its real name translates as something like "Regret At Parting Ball Players". 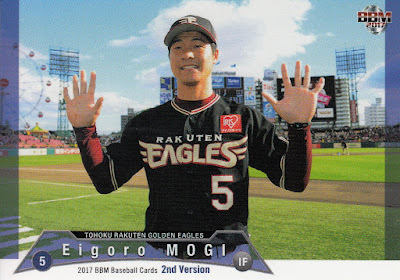 Rookie Edition - This set features all the picks from the NPB draft that is held the previous fall - it's been in late October the past few years. Players are typically photographed at the team's introductory press conferences held over the winter so the photos on the cards usually show the player wearing the team's jersey over a suit or at least a dress shirt and tie. BBM has been doing this set every year since 2003. Typically it has a base set of around 120 cards and gets released in mid-February. This set replaced the Preview set which BBM did between 1999 and 2002. The last three editions of Preview featured "Draft Pick" cards for the top draft picks for each team which I assume proved so popular that BBM switched to doing "Draft Pick" cards for ALL the picks. "Icons" set - This is a box set that BBM issues each March. It has a different name/theme each year. 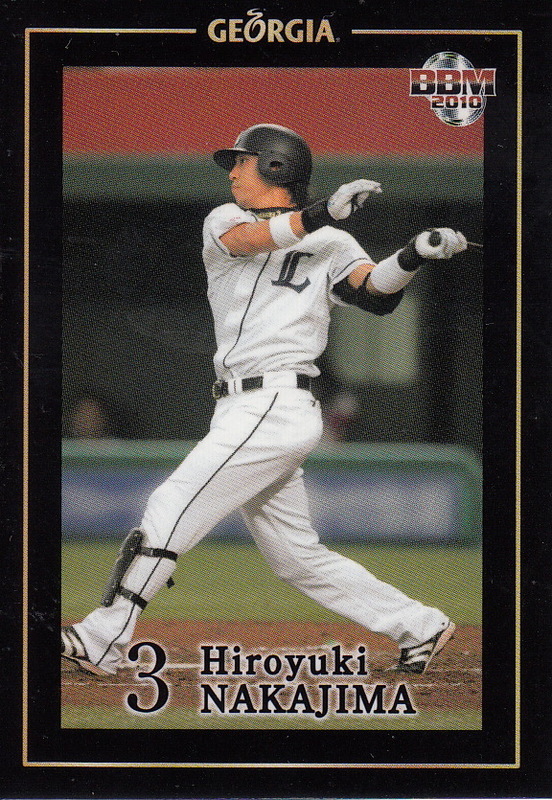 The first set was issued in 2013 and was called "Hope". It featured young players (including Shohei Ohtani). 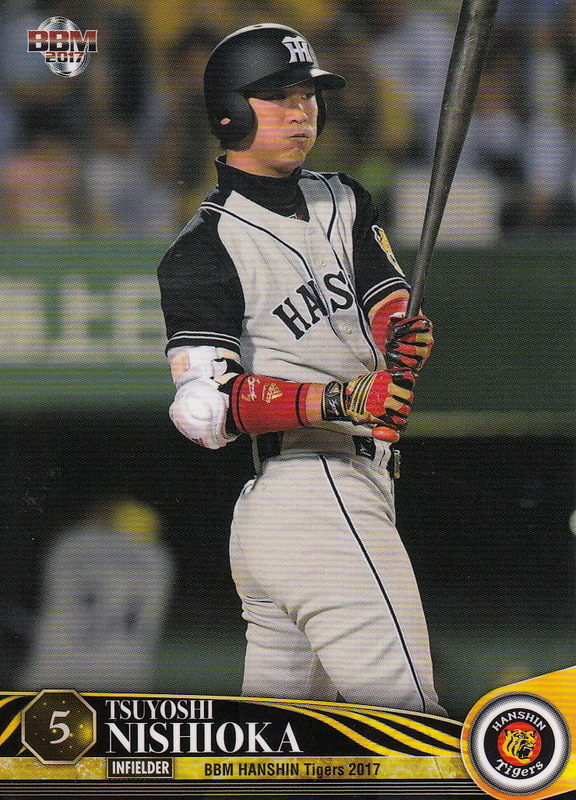 This set was followed in 2014 by "Big Guns" (sluggers), "Aces" in 2015, "Speed" in 2016, "Japan Pride" in 2017 and "Fanfare" in 2018. Each box set contains the complete base set (the past few editions have had 36 card base sets) plus a "special" insert card that could be an autograph. "Icons" replaced a set BBM did two years in a row called "Diamond Age" that highlighted 23 year old players. The 2011 set was called "Diamond Age 1988" (and was an excuse to produce another card of Yuki Saitoh of the Fighters) and the 2012 set was "Diamond Age 1989". 1st Version - This is BBM's biggest set each year and is essentially their "flagship" set (or at least half of it). BBM did a single annual "flagship" set from 1991 to 2001. Starting in 2002 they started doing a 1st Version set and a 2nd Version set. 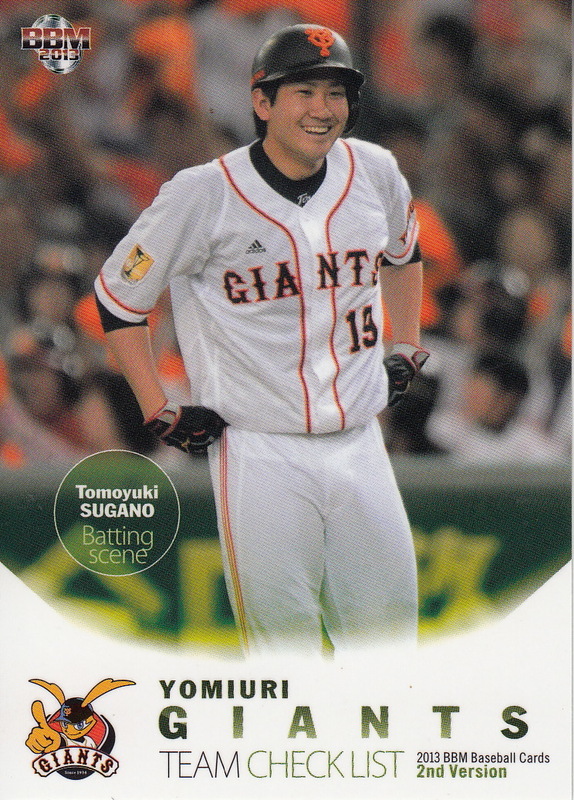 For the last few years this set has featured 372 cards with 27 players (and the manager) per team although earlier versions had more cards. 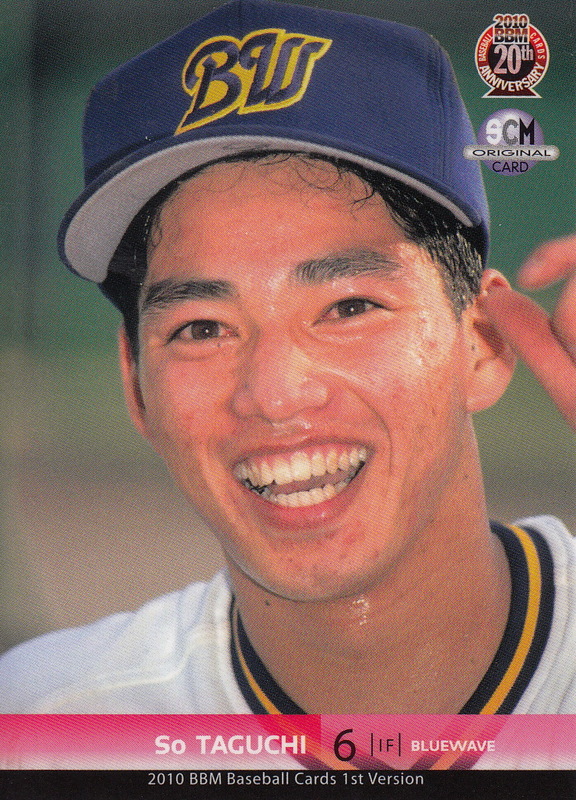 Team sets - BBM does a "comprehensive" team set for each of the 12 NPB teams that features all the players on each team's 70-man roster (which typically has fewer than 70 players). 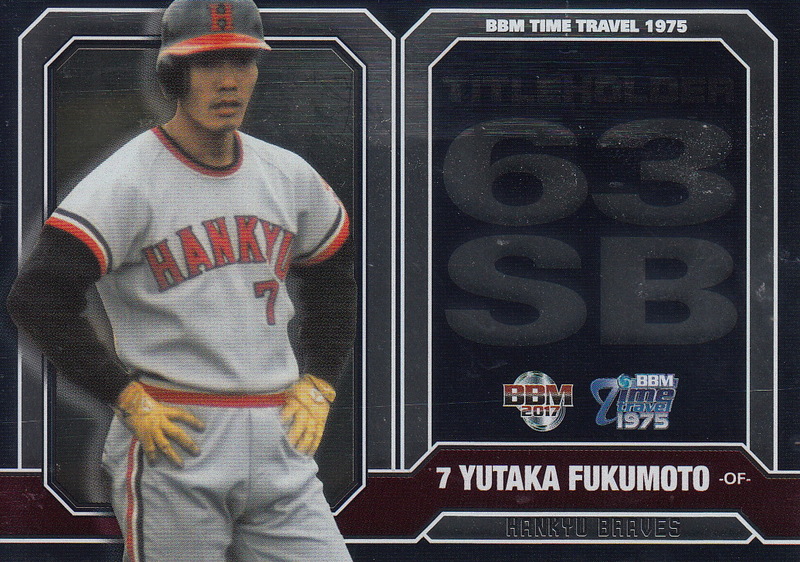 For the last few seasons all the team set base sets have been 81 cards but earlier sets were larger. The team sets are published between March and July each year. 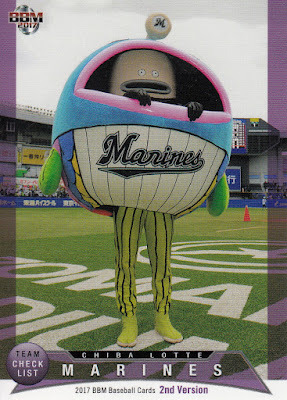 Dancing Heroine - Hana/Mai - BBM does two sets each year that contain cards for the cheerleaders and dance squads of some subset of the NPB teams. I confess that I don't pay a lot of attention to these sets so I can't tell you what the difference between the "Hana" and "Mai" versions are or even if they feature the same women in both sets. 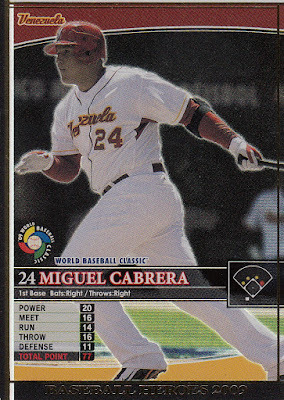 The base sets are usually somewhere between 80 to 100 cards in size. BBM produced a single "Dancing Heroine" set in 2011 and 2012 and split the set into the "Hana" and "Mai" versions starting in 2013. The "Hana" set is usually released in June and the "Mai" set usually comes out a month later. 2nd Version - This is BBM's continuation of their "flagship" set. 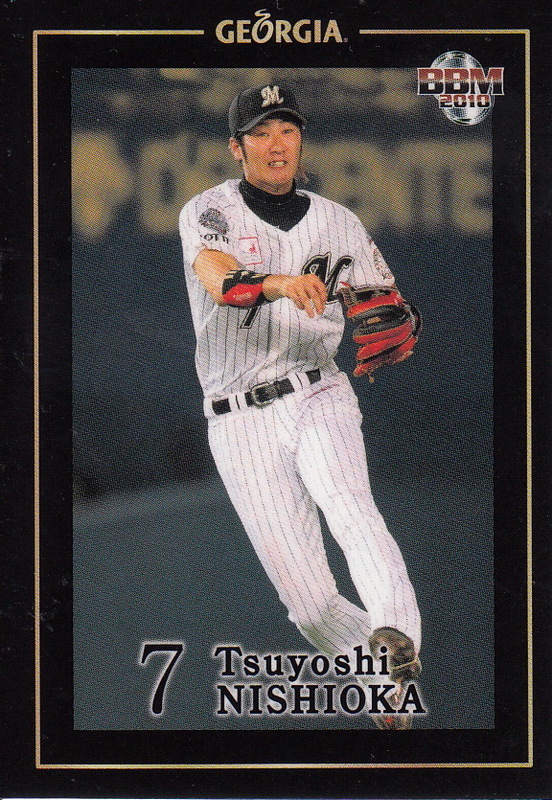 This typically contains a 36 card "1st Version Update" set that features players who either signed late, were traded or simply weren't included in 1st Version for some reason as well as 18 cards per team. 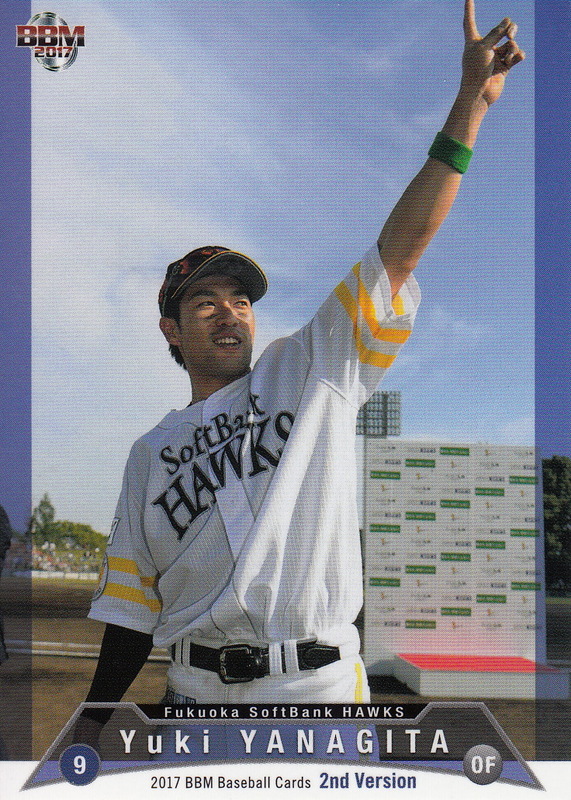 There is also a subset featuring celebrities throwing out the first pitch at NPB games (I know Topps has been doing this the last few years - BBM started doing it in 2004). The base set has been around 312 cards for the last few years. As mentioned above, BBM broke their "flagship" set into 1st and 2nd Version back in 2002. This set is usually released in mid-August. Genesis - This is BBM's 'high end" set. 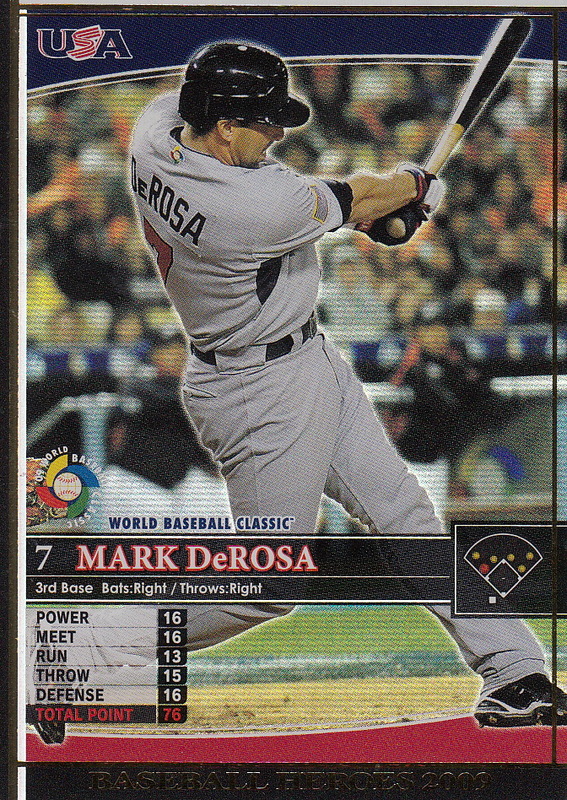 The base set is usually pretty small - it's been 120 cards (9 players per team plus a team checklist). The big draw of this set is the autograph and memorabilia cards that are seeded into the packs. This set typically come out in mid-September. 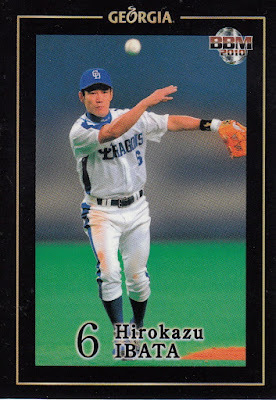 BBM's original "high end" set was called "Diamond Heroes" and was published from 1996 to 2001. They replaced "Diamond Heroes" with "Touch The Game" starting in 2002 - I think this is when they started to add more memorabilia cards and have fewer cards in the base set. BBM rebranded the set as "Genesis" starting in 2012. "Team Cheerleader" set - For the past four years BBM has published a box set featuring one particular team's cheerleader/dance squad. The teams featured so far were the Hawks (2014 Honeys Flash), the Dragons (2015 Hippy Hippy Shake), the Giants (2016 Original Smile) and the Fighters (2017 Fighters Girl & B*B Family). I think this set used to be released in October but last year's version came out in September. 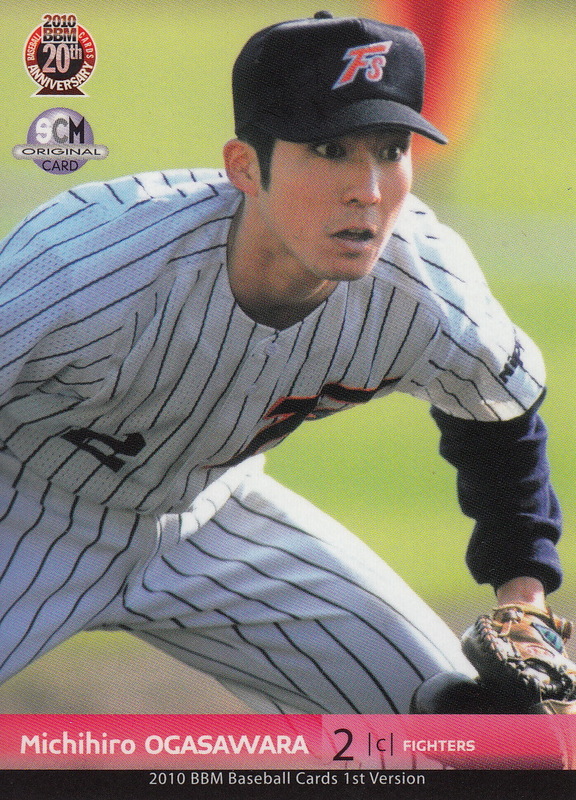 They have somewhere between 40 and 60 cards in their base sets and of course have some sort of "special" insert card included in the boxes. Rookie Edition Premium - This is a box set that features the top rookies of the current season. I don't know for sure but I think it only includes players who were drafted the previous fall (and therefore appeared in the Rookie Edition set earlier in the year). Each box set contains "special" insert cards that may include autographed cards along with a base set that's been 36 cards in size for the past few years. BBM started doing these sets in 2007. I think it usually comes out in October. "Multi-Sport" set - This is another set that I'm assuming is going to continue. For the past two years BBM has issued a set containing athletes from multiple sports. 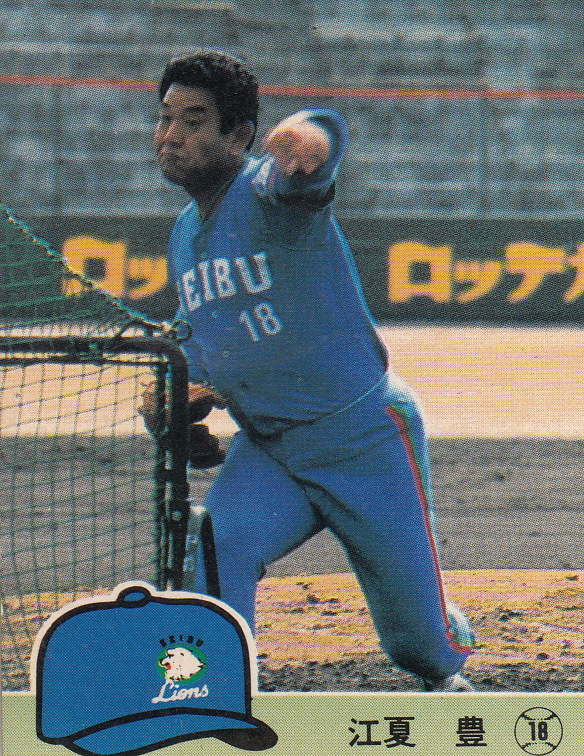 Baseball is well represented in the two sets so far but other sports featured include soccer, wrestling, sumo, skiing, curling and gymnastics. 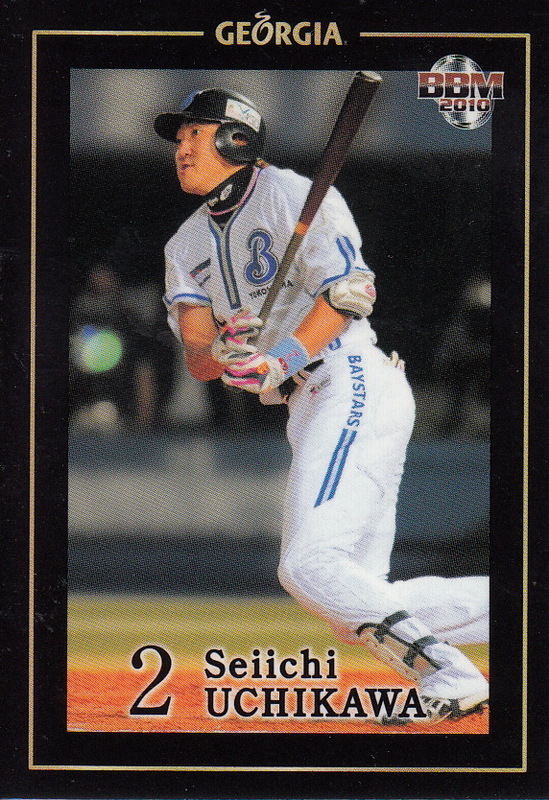 The sets contain both active and retired players. The first set (with 128 cards) was issued in 2016 for BBM's 70th Anniversary as a magazine publisher and was called "Masterpiece". Last year's set was called "Infinity" and had 114 cards. The sets have been released in October so far. Fusion - One more set that I'm assuming is now a staple after two years. 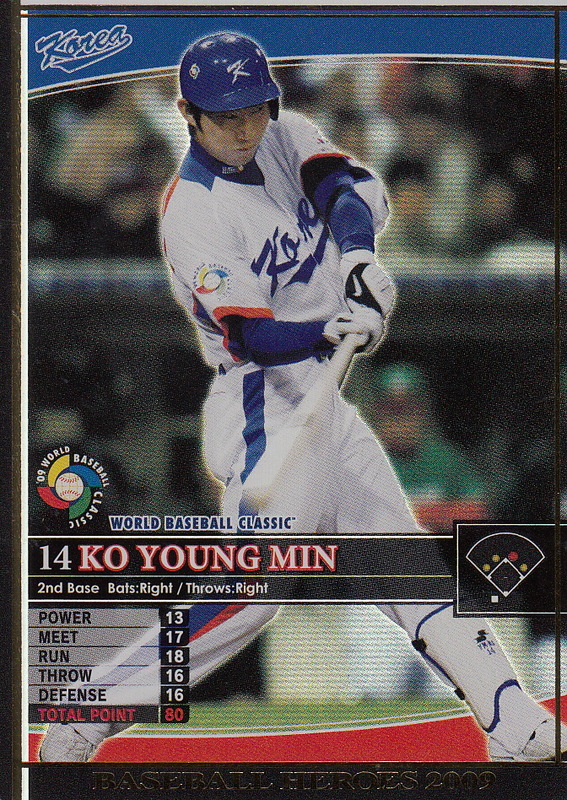 This 144 card set could almost be considered as a third part of the "flagship" set. It has 9 "1st Version Update" cards that again feature players who didn't make it into the 1st or 2nd Version sets and 9 more "1st Pitch Ceremony" cards. It also has a 24 card subset showing the statistical leaders of the season just completed. The bulk of the cards are the regular player cards that are split between active and OB players. This set is typically released in November (at least so far). So currently* BBM issues 26 annual sets - 22 pack based and 4 box sets. Additionally you can expect them to publish a number of other sets - usually team based box sets and historical sets like the recently released Hawks 80th Anniversary set. 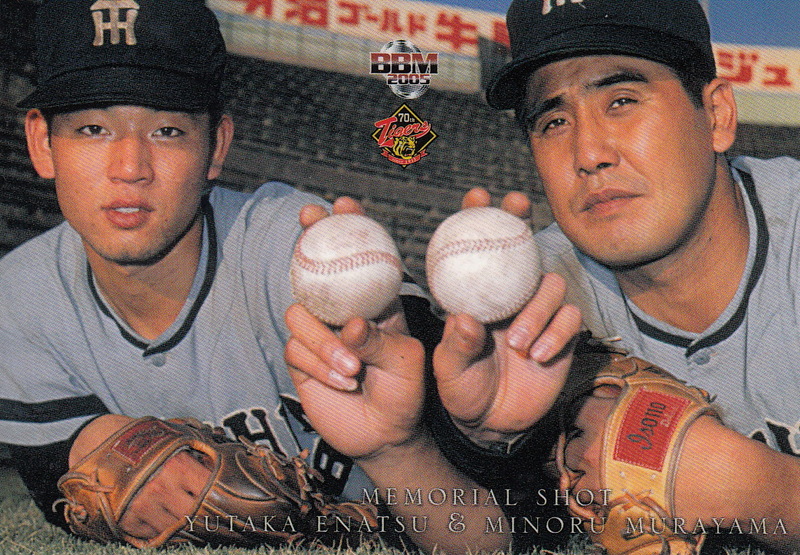 Previous annual sets from BBM included the All Star box sets (1991-2012), the Nippon Series box sets (1991-2012), the Classic sets (2013-2016), and the "Historic Collection" sets (2002-16). BBM also did box sets for the league champions annually from the late 90's until around 2008 - I think that will be the topic for another post. 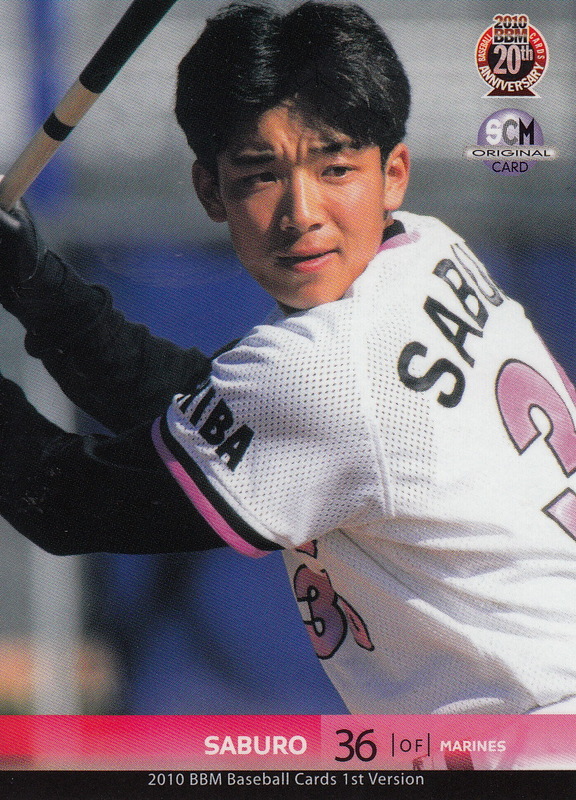 The Giants went on to win the game 6-3 - their other two runs scoring on a single by Shinnosuke Abe who was pinch hitting for Sugano in the next inning. 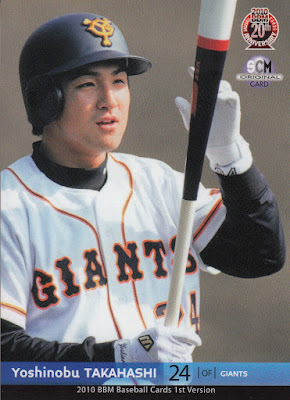 It was Sugano's first career home run. This is awesome. Thanks Max! 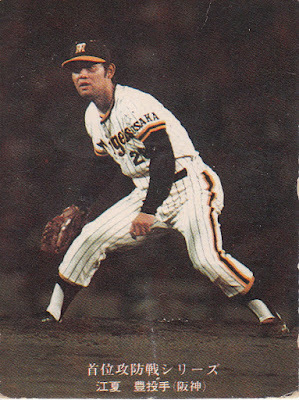 I was on Twitter last night and I saw a tweet from @thehanshintiger mentioning that it was Yutaka Enatsu's 70th birthday. I was a little disappointed because I didn't think I'd be able to do a post about it but then I realized his birthday was the 15th and it was still the 14th for me. So now it's the 15th for me and I can still do the post (and we'll ignore the fact that it's now the 16th in Japan...). Enatsu is a fascinating character. He was the first round pick of the Tigers in the 1966 draft and was a star starting pitcher for them for a number of years. 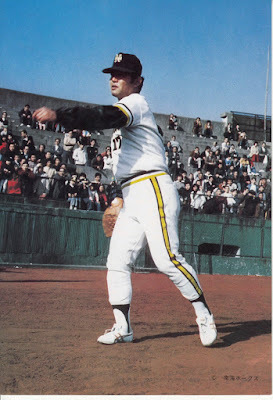 He was traded to the Nankai Hawks after the 1975 season after some poor years with Hanshin and Nankai manager Katsuya Nomura converted him to a relief pitcher. He got sold to the Carp after the Hawks fired Nomura after 1977 and excelled in a relief role for them. 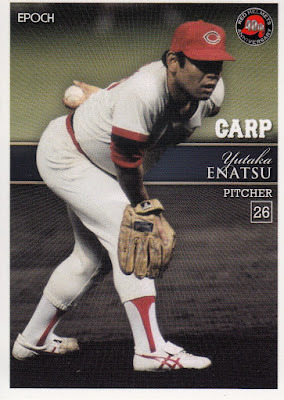 He won the Central League MVP in 1979 when the Carp won the first of two consecutive Nippon Series over the Kintetsu Buffaloes (that's not meant to be ambiguous - the Carp beat the Buffaloes in both the 1979 and 1980 Nippon Series). 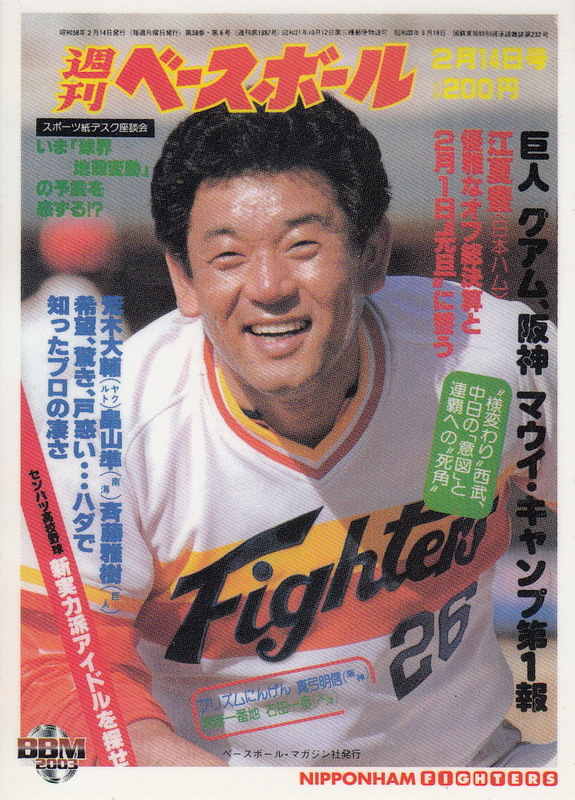 He got traded to the Nippon Ham Fighters after 1980 and led them to the Pacific League pennant in 1981 - their first since 1962. He was named PL MVP that year, becoming the first player to ever be named MVP in both leagues. He finished his NPB career with the Seibu Lions in 1984 and then wrangled a invitation to spring training with the Milwaukee Brewers in 1985. He retired after not making the team. Here's a variety of cards from Enatsu, both from when he was playing and from OB cards after he retired. He's a bit unpredictable in appearing in OB sets. He hasn't appeared in a BBM one since 2013 but he's shown up in several Epoch sets since then.